We handle all sorts of landscaping work, including both remodels and new installations. Tree and shrubs are one of our specialties, and planting them is only half of the battle! Our specialists are trained with the knowledge to identify potential problems and correct the situation before major problems set in. Please allow us to put our knowledge to work for you. 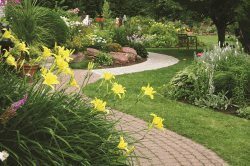 Get a free estimate on your landscaping by heading over to our contact page.